hey too much hype for him ! lol ! I meant ” I dont have the age to wish u,so bowing before you , always you fan suren!!” ! will post the translations from now on !! @msk : grrr ! Where does he come in a Super star post ??? Rajinikanth – The one and only Superstar… no one can match him…. 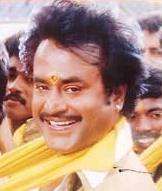 Belated Birthday wishes to the Emperor of Tamil Cinema…!!!!! somewhere i heard super star only recommended ultimate star to play the role in billa .. !! .. so super star and ultimate star have good rapport .. !! .. all hail the stars ..
super staru yarunnu ketaa chinna kozhanthaiyum sollum ..
@alags .. he is not emperor of tamil cinema .. according to me, he is the emperor of indian cinema .. he defined style in movies .. no one in india has matched his style and performance ..